Rania Ho is a practicing artist, a former member of Complete Art Experience Project (CAEP), and one of the founding members of the performance art band, The Contractors. Rania has participated in solo and group exhibitions throughout China and the United States. A former Interval Research Fellow and visiting scholar at Microsoft Research Asia’s Center for Interaction Design in Beijing, she received her M.A. from the Interactive Telecommunications Program at New York University. She has participated in solo and group exhibitions throughout China, Asia, Europe and the United States. Recent projects include residencies at ZAIM in Yokohama, Japan (2009) and Ssamzie Space in Seoul, Korea (2007); Timestamp: Solo exhibition at Long March Project Space (2006), ISEA2006/Zero One Festival, San Jose (2006), Beyond – the 2nd Guangzhou Triennial (2005), and Playgrounds of Authorship at the University of Rochester, NY (2005). 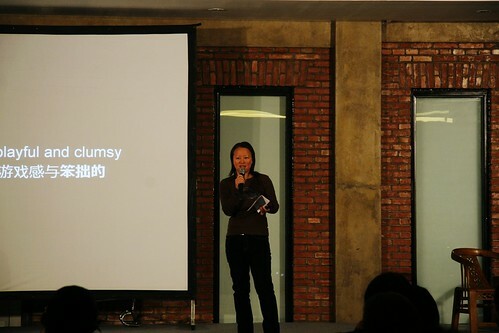 She is one of the co-founders of the Beijing storefront art space Arrow Factory. Worldwide scholars sometimes examine the link using connected authorities.